2 mini pastries, 2 chouquettes, 1 fresh orange/ apple juice. Not available on weekends. For a minimum of 5 people. 3 small sweet petits fours, Not available on the weekends, For minimum 5 people. 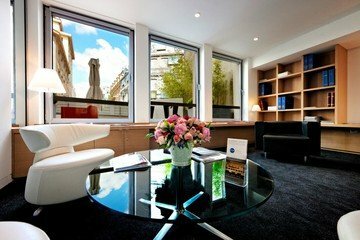 This modern and bright conference room is located in Paris in the 8th arrondissement near the Arc de Triomphe. 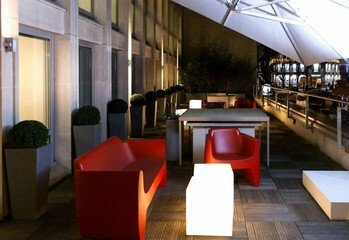 It is the ideal place to organize offsite seminars, conferences, business meetings or training sessions. 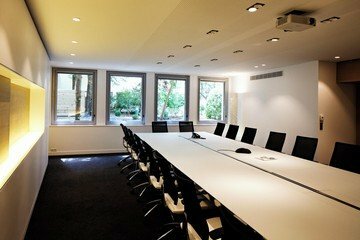 A video conferencing system, paperboard, WIFI connection and a nice terrace will be at your disposal during your professional event and you can also enjoy a view of a pleasant garden. 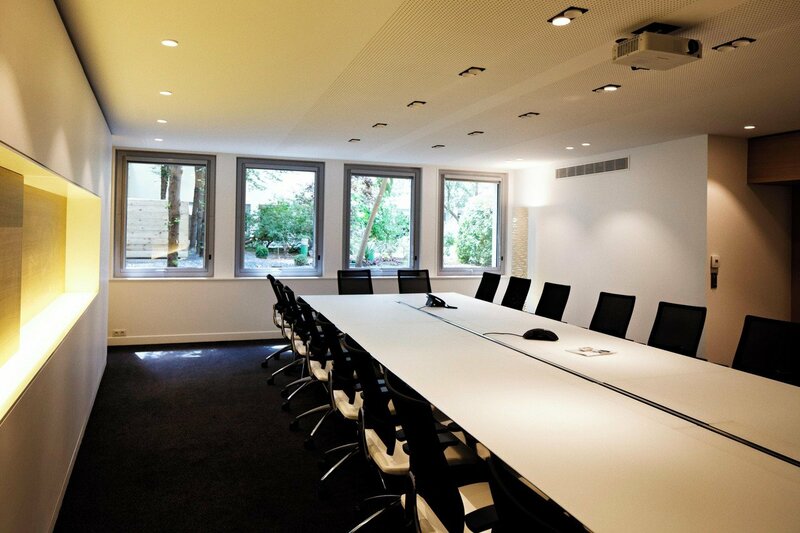 20 people can be accommodated in this modern meeting room. Caterings options are also available. About the breakfast, the price will be global and for a minimum of 10 persons. Located in next to the most beautiful street in the world and in a super fancy district, you will enjoy the surroundings, feeling like in a Woody Allen movie.